Senior member of Mahmoud Abbas's Fatah party, Jibril Rajoub, calls Israelis 'the new Nazis', says Israel committing a 'holocaust' in Gaza. 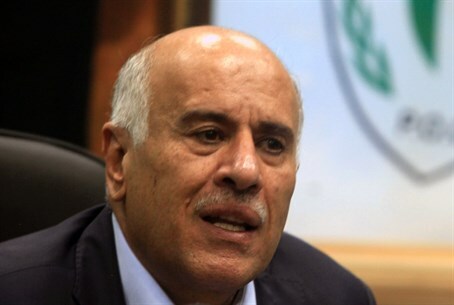 Former Palestinian Authority security chief Jibril Rajoub, often touted as a "Palestinian moderate", has accused Israel of inflicting a "holocaust" on Gaza - while saying that Jews deserved the genocide inflicted on them by the Nazis. In an interview with Palestinian Authority TV, translated by MEMRI (Middle East Media Research Institute), Rajoub - who is a senior member of the Fatah party's Central Committee - labeled Israeli society as "a fascist society", adding that "the racism of this fascist society is unparalleled throughout history." One parallel that Rajoub could find, however, was with Nazi Germany, claiming that Israelis were "the new Nazis", and that "Israel, (especially) the Israeli right wing, constitutes a replica of Hitler, Eichmann and Goebbels." His statements followed a long introduction by his interviewer, who also equated Israeli actions with the holocaust, accusing "the people who today evoke the spirit of Nazism" of "master(ing) the art of genocide." Towards the end of the interview, Rajoub made the oft-repeated claim by Palestinian officials and their supporters that the establishment of the State of Israel was the result of European guilt over the holocaust, intentionally ignoring the indigenous status and nearly 4,000-old ties of the Jewish people to the land of Israel. Going further, he claimed that Jews had only suffered the holocaust because of their own "behavior". "...they say that six million of them were killed - while the whole world stood idly by, because their behavior led them to those circumstances."